Also serving communities of Bloomfield Township, Birmingham. There are 32 Memory Care Facilities in the Bloomfield Hills area, with 2 in Bloomfield Hills and 30 nearby. The average cost of memory care in Bloomfield Hills is $3,220 per month. This is lower than the national median of $4,650. Cheaper nearby regions include Southfield with an average starting cost of $1,800. To help you with your search, browse the 68 reviews below for memory care facilities in Bloomfield Hills. Better rated regions include Troy with an average rating of 4.1 out of 5 stars. Caring.com has helped thousands of families find high-quality senior care. To speak with one of our Family Advisors about memory care options and costs in Bloomfield Hills, call (855) 863-8283. Bloomfield Hills is a city in southeast Oakland County, Michigan, where 14 percent of people age 65 and older are estimated to have Alzheimer's. Because seniors in this age group make up 28.4 percent of the city's population of 3,869 residents, the demand for memory care services in Bloomfield Hills is growing. There are two memory care facilities serving Bloomfield Hills and 29 more in nearby communities. 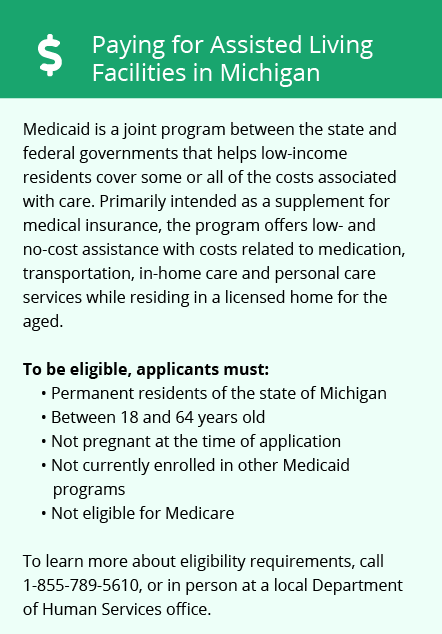 Michigan may license these facilities as Homes for the Aged or Adult Foster Care facilities. The state's rules for memory care providers are no different than those for other HFAs or AFC facilities. Memory care facilities may provide outdoor areas for residents. Given that Bloomfield Hills often experiences harsh winters with lows averaging 17 degrees Fahrenheit, families may wish to find out what procedures a memory care facility has in place to prevent to keep residents comfortable in extreme weather. Families who are budgeting for memory care in Bloomfield Hills may find it helpful to compare the city's living costs to state and national averages. Based on a U.S. average cost of living equal to 100, the Michigan state average is 97, 3 percent cheaper than the national average. By contrast, the cost of living in Bloomfield Hills on the same scale is 148, meaning that the city's expenses much higher than the state and national averages. Breathing polluted air may put a senior's health at risk. Oakland County's air quality receives a passing grade for particle pollution but a failing grade for ozone. Families may want to ensure any supervised outdoor activity takes air quality into account for their loved ones in memory care. Bloomfield Hills has a rate of 10.78 crimes per 1,000 residents, making it safer than 63 percent of American cities. Families who are concerned about the safety of their loved ones with dementia can ask a prospective memory care facility what special precautions they take to secure their facility and keep residents from wandering. Memory Care costs in Bloomfield Hills start around $3,220 per month on average, while the nationwide average cost of memory care is $4,799 per month. It’s important to note that memory care rates in Bloomfield Hills and the surrounding suburbs can vary widely based on factors such as location, the level of care needed, apartment size and the types of amenities offered at each community. Bloomfield Hills and the surrounding area are home to numerous government agencies and non-profit organizations offering help for seniors searching for or currently residing in an assisted living community. These organizations can also provide assistance in a number of other eldercare services such as geriatric care management, elder law advice, estate planning, finding home care and health and wellness programs. To see a list of free memory care resources in Bloomfield Hills, please visit our Assisted Living in Michigan page. 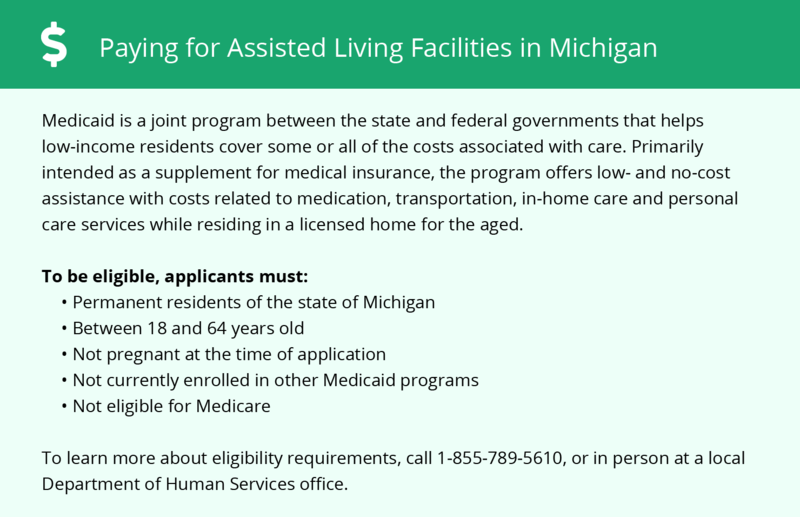 Bloomfield Hills-area assisted living communities must adhere to the comprehensive set of state laws and regulations that all assisted living communities in Michigan are required to follow. Visit our Memory Care in Michigan page for more information about these laws.